The medical term for a broken bone is a fracture. If you are suffering from a fractured arm, the injury most likely involves the ulna, the radius and/or the humerus – the three bones that make up the arm. A fractured arm is usually the result of severe impact to the bone or a direct fall and can be very painful. It is important that you always seek medical advice if you think you may be suffering from a fractured or broken arm. Your doctor will most likely perform an x-ray on the bone and wrap your arm in a cast if it is broken. Broken or fractured bones usually take 4-6 weeks to heal, however rehabilitation after the cast is removed can take another 2-3 months. It is incredibly important that you take care during this period because the bone is still very weak. Performing daily exercises, such as training with Powerball are extremely beneficial at this point, as they greatly help to speed up recovery by strengthening weak bones. Muscle wastage (atrophy) is an inevitable side effect from a fractured or broken arm. As your arm heals in a cast, the muscles surrounding the injury are not engaged and begin to waste away. Once your fracture has healed, it is important that you start regaining muscle mass by practicing regular strength training. Spinning Powerball for just 3 minutes a day is enough to effectively build muscle from fingertip to shoulder. Even if your fracture has fully healed, your arm will still be weak once you remove your cast. 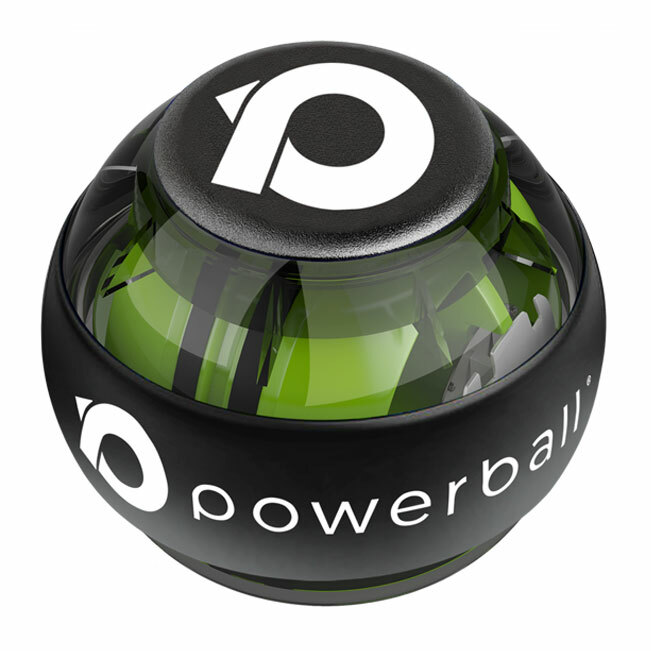 Spinning Powerball generates 100% non-impact isometric resistance, which places absolutely zero strain on sore or weak bones. With this in mind, you need never worry about over-exerting yourself or worsening your injury when you exercise with Powerball. 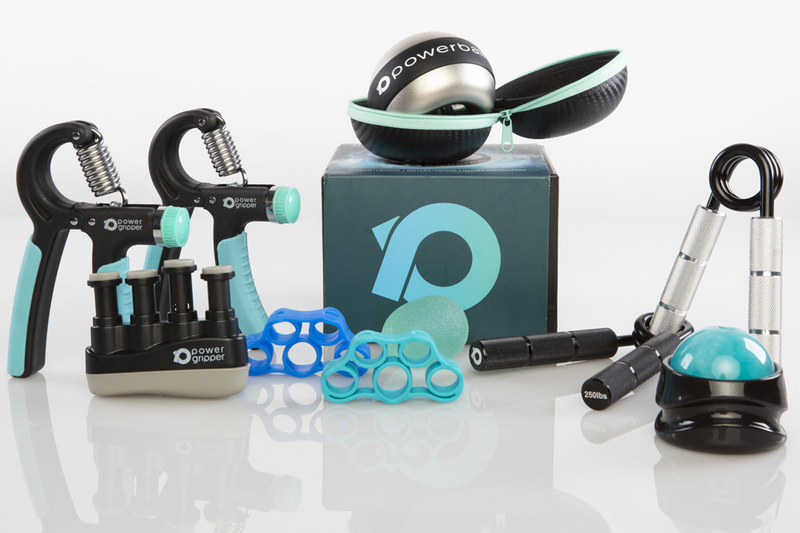 Powerball’s dual action of strengthening and rehabilitation is what sets it apart from other exercise devices. Spinning Powerball allows you to strengthen as you recover, which helps your muscles and bones to heal faster. A broken arm can really only heal itself over time, however using Powerball supercharges the healing process, cutting rehabilitation times and ensuring long-lasting results. 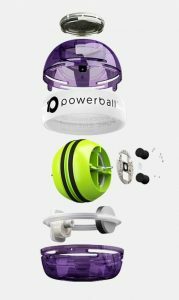 You really have to spin this incredible gyroscope to feel the difference – pick up a Powerball today and experience the benefits for yourself. 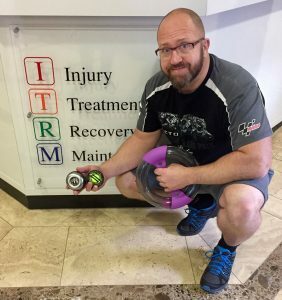 Continuing to use Powerball on a regular basis even after you have fully recovered from a broken or fractured arm is a great way to maintain muscle mass and joint health. 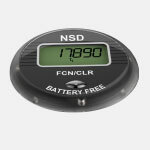 Its compact size makes it easy to spin Powerball on the go, in the car or at the office. Regular strengthening sessions with Powerball ensure your muscles and bones remain healthy and strong, greatly reducing the risk of sustaining another broken arm in the future. 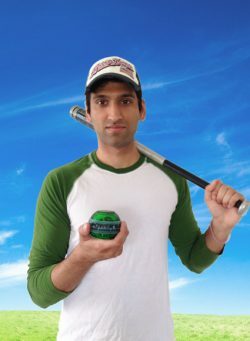 All it takes is 5 minutes a day to benefit from Powerball’s long-lasting effects and keep yourself protected from fingertip to shoulder. Here at Powerball, we’ve worked closely with physical therapists and sports injury professionals to design helpful exercise videos with your recovery in mind. Check out the range of video programmes on our videos page or watch the video below for a step-by-step guide to arm rehab and strengthening. 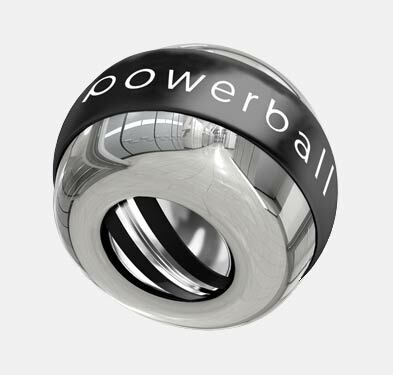 With over 4 million sold worldwide, Powerball is the world’s number one gyroscope. Inside the shell of a Powerball is a rotor (green wheel), which spins on an axis. As the rotor spins, it creates resistance, which pushes against your efforts to spin Powerball. The faster you spin Powerball, the more resistance it creates and the harder it becomes to spin. 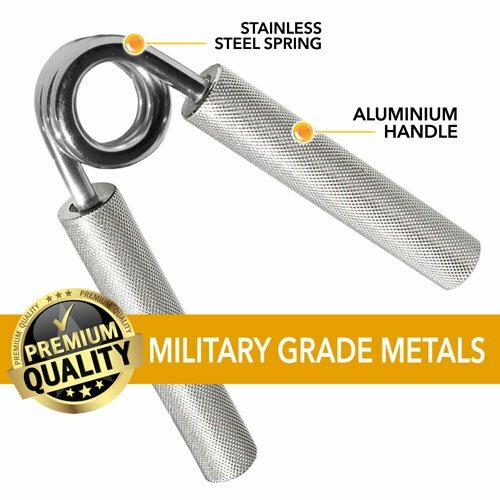 This resistance is non-impact and 100% isometric, making it perfect for arm rehabilitation and strengthening. 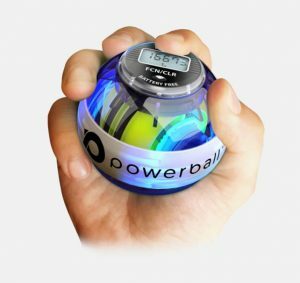 Start spinning with Powerball today to experience the incredible benefits of this unique gyroscope. Check out the range of models in-store for more information. 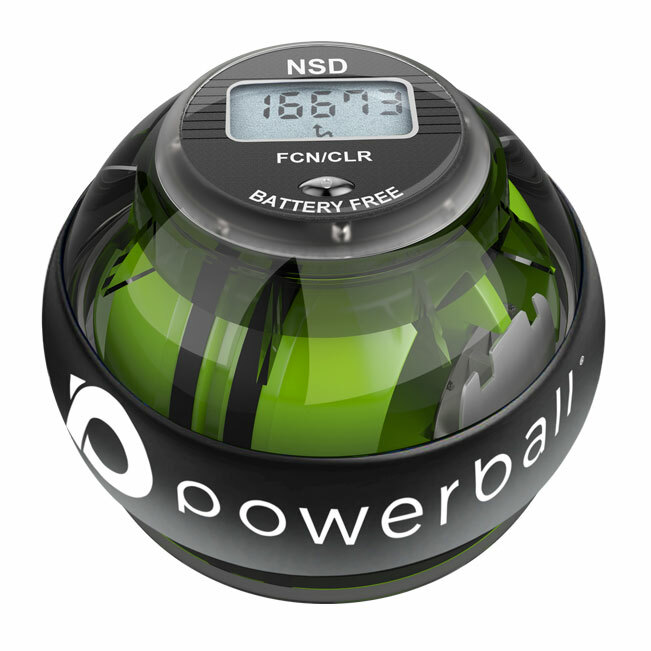 Most Powerball models come with a digital speed meter which will count your spin speed (RPMs) and allow you to track your progress as you exercise. Maximum spin speeds can easily be monitored through endurance mode. This will also motivate you to focus on small gains everyday and improve your overall recovery time. ULNAR / RADIUS BROKEN IN HALF? I was playing baseball for my college team in Jersey when my arm was literally broken in half. I was escorted to the hospital and doctors patched me up, advising I would have to undergo therapy. In therapy there were the usual massages and exercises, but there was also one psychical therapist who had a slightly different approach. She handed me a green Powerball® and instructed on how to use it. There were 3 other patients in therapy with similar injuries to mine that day and I’d say I probably healed 50% quicker. That green Powerball® literally gave me my arm back, one of the greatest inventions I’ve ever invested in. Thank you. AFTER SURGERY REHABILITATION. NO PROBLEM. 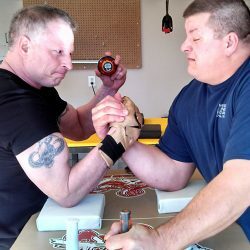 In March of 2013 I suffered a complete tear of my right bicep at the forearm, in April of 2013 it was surgically repaired by placement of a “bicep button”. As a Chief at a major Sheriff’s Office in Tennessee and a right handed law enforcement officer I was immediately worried about rehabilitation and all the talk of nerve numbness. I was given putty to mold with my hand as my first rehab, needless to say I was scared and skeptical therefore I was searching for real therapy. 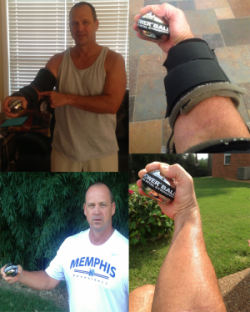 I located the “Powerball” on-line and while still in a mechanical brace I began my powerball rehab. The gyroscope action was immediate therapy felt in my forearm almost like a nerve wake up.